Whenever a new investing strategy becomes popular or an economic change occurs, there is always fear from those who claim it will end in disaster. It’s very easy to spread fear about something new because there isn’t history to refute the claims. The biggest trend in money management is the passive movement. With the knowledge that most money managers don’t beat the market when you include the fees they charge, many people are switching to index funds. Index funds are diversified, inexpensive, tax efficient, have a lot of capacity, have performed well over the long run, and have been used well by investors. If you don’t have the time to manage your investments and aren’t supremely confident that your manager will beat the market, index funds are great. The big fear about index funds is that when enough investment capital goes into them, firms will be able to do whatever they want because the managers are passive. Firstly, passive investing has a limit. If there was a scenario where most investments were passive, it would be easier to find alpha. Passive funds make it easier to find winning trades because passive funds just buy the index without doing individual company analysis. Active managers criticize passive funds because they provide competition. Their bias distorts the debate. If passive funds owned a larger chunk of the stock market than they do now, it probably wouldn’t end in disaster. Voting for directors and changes to firms’ charters is actually more critical to passive funds than active ones because passive ones can’t sell their shares. Active investors want the firm to do well when they own it, but if the situation goes awry, they can just sell it and buy a different stock. 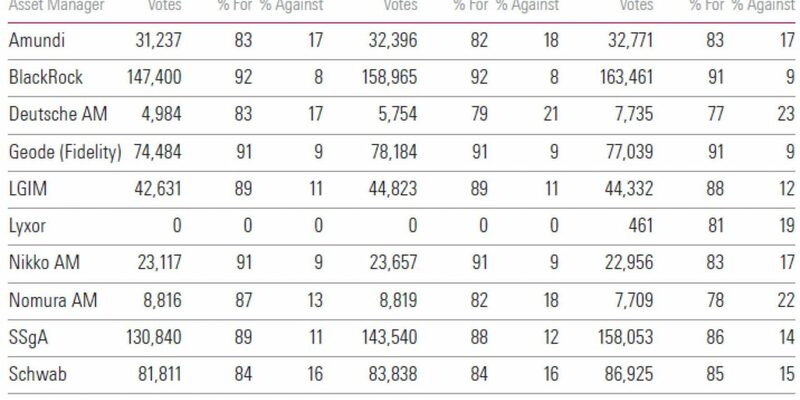 As you can see from the table above, passive firms aren’t voting in lockstep with each other and are becoming more engaged. The fear that passive funds are going to let firms do whatever they want should be put to rest by this table. Some say an individual passive investment firm can gain too much power which could hurt the economy. However, if a passive manager gained too much control and made poor decisions, investors in the fund would leave. It’s important to recognize that being a passive manager doesn’t equate to not voting on shareholder matters. 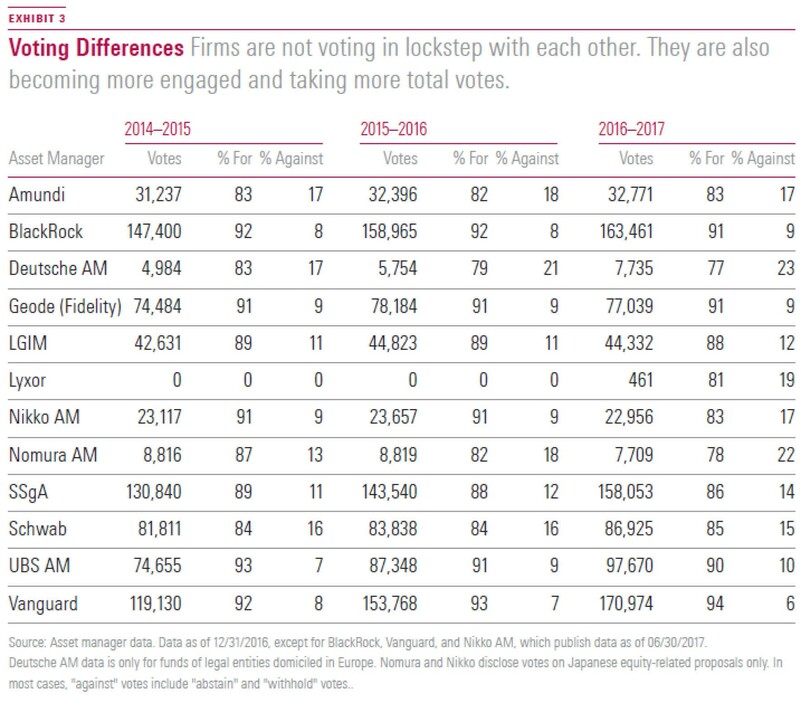 These managers have the responsibility to their investors to positively influence firms in the index by voting smartly. 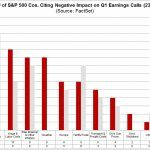 Firms also have the motivation to stay in the index to gain investment from passive funds. Finally, we will reiterate that if a firm’s stock doesn’t react to news on the company, which in theory would ruin the incentive for the firm to do well for shareholders, someone would take advantage of that profit potential and trade the stock. Thinking passive investors will ruin the market assumes people won’t take advantage of easy ways to profit. 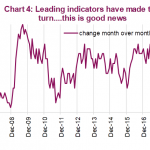 We have been focusing on the slight uptick in seasonally adjusted initial jobless claims because if the trend continues, it will signal a recession is coming. The jobless claims report is a leading indicator for the economy. The Merrill Lynch research below shows initial claims are the most accurate forecaster of recessions as they have the lowest error rate. On average, the 3 month moving average of the 6 month growth rate of initial claims is up 10.8% prior to recessions. The growth is currently negative which signals a recession isn’t here yet. Looking at the growth rate doesn’t account for the level claims increased from. To be clear, many believe when the claims rise above 300,000, the metric raises a red flag. Since claims dropped very low this cycle, the percentage increase will be problematic earlier than some expect. Where Is The Soft Landing? 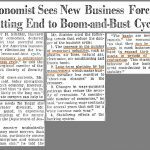 Economists make incorrect predictions often. There’s no shame in making a bad prediction. However, making the same mistake repeatedly is less than ideal. Economists often predict that when economic growth slows, there will be a soft landing which is slow growth at the long run potential. Recessions must not be understood by those calling for a soft landing because recessions are harsh. This would be like an investor calling for a 10% decline in stocks because of a recession. Bear market recessions are worse than that. The chart below illustrates the lack of soft landings. 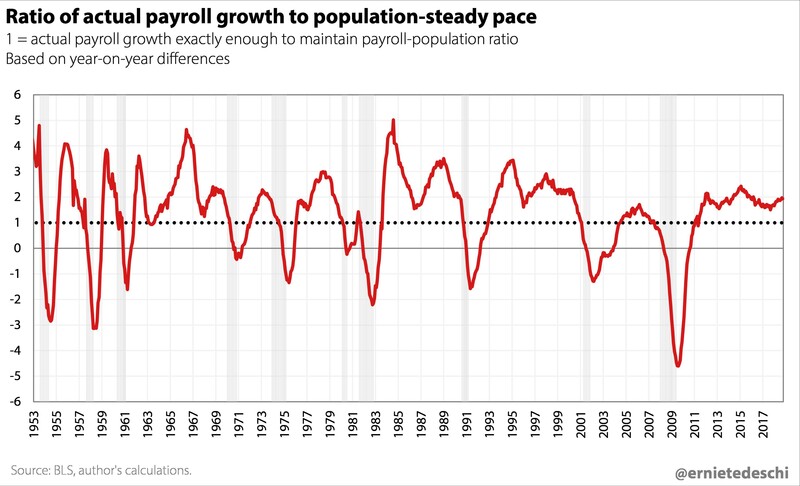 When the line is at 1, it indicates the labor market is creating the amount of jobs consistent with population growth. As you can see, it rarely stays at 1. Either the labor market is growing faster or slower than the population. 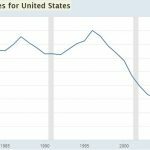 It has fallen below 0 during every recession since 1953. As of December 3rd, the 10 year yield has fallen below 3% as it is at 2.97%. Those who argued that increasing deficits would cause higher yields have been proven wrong. It’s certainly a possibility since deficits increase the supply of debt. However, historically the US treasury market hasn’t reacted to increased deficits. The long bond yield has even fallen during QT which is when the Fed lets treasuries and mortgages on their balance sheet mature without rolling them over. The declining long bond yield has flattened the curve. The 10 year yield is only 15 basis points higher than the 2 year yield as it is coming closer to warning about a recession. As you can see from the chart below, the 5 year yield is lower than the 3 year yield. This is the first inversion of the cycle. The housing market is a great leading indicator of economic growth. The October pending home sales report was another weak housing market data point. 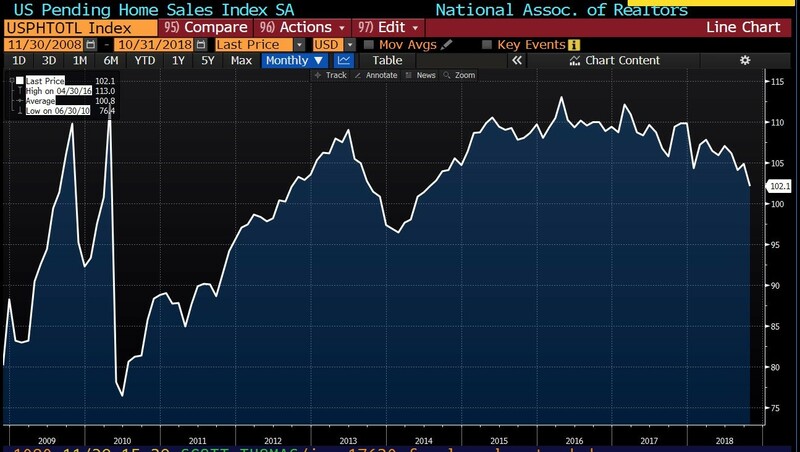 Pending home sales lead existing home sales by 1-2 months. Pending home sales fell 2.6% month over month which missed estimates for 0% growth and September’s growth rate of 0.7%. The index fell from 104.8 to 102.1. This is the weakest reading since 2014. The chart below shows this index also fell in late 2013 and early 2014 which predated the slowdown in late 2015 and early 2016. Overall, year over year pending sales fell 6.7%. On a year over year basis, the west had a 15.3% decline in sales. The Midwest was down 4.9%, the south was down 4.6%, and the northeast was down 2.9%. The housing market and jobless claims are great leading indicators of recessions. The jobless claims are up slightly while the housing market continues to show sharp weakness. Passive investors aren’t going to ruin the marketplace as fund managers care greatly about firms being operated effectively. There aren’t soft landing recessions. They don’t happen. 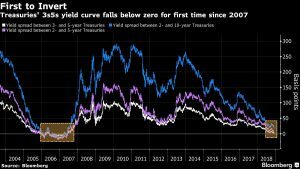 Finally, the yield curve saw its first inversion which signals a recession is coming in a little over a year.